A TV/Newspaper Merger in Providence? *Could a struggling RHODE ISLAND TV station find salvation in a merger with the state's largest newspaper? 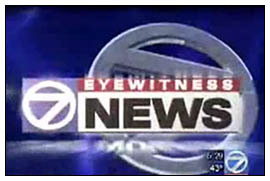 That's the scenario that NERW is hearing may be in the works in Providence, where staffers at ABC affiliate WLNE (Channel 6) were reportedly informed Friday afternoon that the troubled station is on the verge of being sold by bankrupt Global Broadcasting to the owner of the Providence Journal-Bulletin, with its studios and newsroom moving to the ProJo's downtown headquarters. If those reports are true - and we'd emphasize that they're unconfirmed as we assemble this week's column - they raise some interesting and challenging questions. The ProJo, of course, hasn't been locally owned since 1997, when the Providence Journal Company merged with Texas-based Belo Corp., a company that was widely respected as both a newspaper owner (the Dallas Morning News) and a broadcaster (WFAA-TV Dallas, KHOU Houston, WVEC Norfolk). So combining WLNE with the ProJo would put the station in the hands of both a stable TV station group and a solid newspaper operation, right? Not so fast: three years ago, the Belo Corp. split in two, with the television stations remaining under the "Belo Corp." umbrella while the newspapers, including the ProJo, were spun off into a separate publicly-traded entity called the "A.H. Belo Corporation." If it's Belo Corp. buying WLNE (which would seem to be the likelier of the two possibilities), the move would put the long-suffering station into very solid hands. While Belo has no broadcast operations in the northeast, it's a top-notch operator in all the southern and western markets it serves, making significant investments in local news and programming. In particular, Belo has been bullish on pairing cable news channels with its local stations, most notably the TXCN (Texas Cable News) channel that operates in tandem with its Texas signals and the NWCN (Northwest Cable News) network that draws content from Belo stations in Seattle, Portland, Spokane and Boise. It's not hard to imagine that the "Newschannel 5" partnership between Cox and WLNE would be attractive to Belo Corp., especially since Belo and Cox already partner on cable news channels in New Orleans and Norfolk, Virginia. But if it's Belo Corp. buying WLNE, that doesn't do much to explain the piece of this rumor that has the station moving in with the ProJo, since the paper is now under the aegis of A.H. Belo, the print spinoff company. If it's A.H. Belo that's acquiring WLNE, the purchase would provide a broadcast and cable platform for the ProJo, which is already by far the state's dominant newspaper and online news player. The paper has a long broadcast history, having put WPJB-FM (105.1, now WWLI) on the air in 1948, later adding an AM signal (the now-defunct WPJB 1420, soon replaced by the purchase of Shepard Stores' WEAN 790, now WPRV.) Adding the resources of the ProJo newsroom to the WLNE news operation, which has long lingered as a distant third-place contender, would make the ABC station a much more serious competitor to the market's bigger TV newsrooms at LIN's WPRI/WNAC and Media General's WJAR - and WLNE's current bankruptcy standing and ratings woes are almost surely enough to get the station declared a "failing broadcaster" and thus eligible for a waiver of the ban on TV/newspaper cross-ownership. *There's a new general manager at Boston's WBUR-FM (90.9), but Charlie Kravets is a familiar name in eastern MASSACHUSETTS broadcasting, where he spent the last two decades building New England Cable News from the ground up. Kravets was NECN's founding news director back in 1992, becoming the channel's president and general manager in 2008 before departing when Hearst sold its interest in NECN to Comcast. And he has deep ties to his WBUR predecessor: like Paul La Camera, Kravets has roots at WCVB (Channel 5), where he was the original producer of "Chronicle" and later assistant news director. Kravets takes over the helm of WBUR on New Year's Day; La Camera will stick around as an ambassador for the station and as BU's administrator of public radio. Meanwhile, WBUR has launched a new promotional campaign for the station; you can see one of the "UR BUR" TV spots here, and you can read some pithy quotes from your friendly editor in a story about the ad campaign from Saturday's Boston Globe. *Across town at WGBH (89.7), there's a new TV spinoff coming to radio. The Herald reports that January 8 will be the start date for a radio version of "America's Test Kitchen," which will air at 2 PM on Saturdays. And completing the Boston public radio trifecta, there's a new program manager at WUMB-FM (91.9 Boston): Kim Grehn was VP of programming at Connecticut Public Radio until budget cuts eliminated that job last year. *Former WCAP (980 Lowell) morning talk host Pat McCarthy has died. McCarthy was a Lowell native (Belvidere, to be specific - and in Lowell, those specifics matter) and a 1976 Lowell High School graduate; when he wasn't doing radio, he worked with his family's food-service distribution business, James P. McCarthy and Sons. He was just 52 when he died last Tuesday. *Our NEW YORK news starts in the Hudson Valley, where veteran morning man Mark Bolger lost his job after Thursday's morning show at WBWZ (93.3 New Paltz). The cancellation of the "Star 93.3" morning show also left co-host Kimberly Kay without a job; so far, no replacement for mornings there has been announced. There's a new operations manager at the Clear Channel cluster in Poughkeepsie that's home to WBWZ, WRWD, WKIP and "Kiss" WPKF: He's Stephen Giuttari, who'd been PD at WCTK in New Bedford/Providence and WYGY in Cincinnati and was most recently working for Hearst in Seattle. Former CC/HV operations manager Reg Osterhoudt is now the cluster's director of engineering. The Buffalo church that was leasing time on Citadel's WHLD (1270 Niagara Falls) for a black gospel format appears to have found a new radio home. The former "Totally Gospel 1270" will come back on the air on the new WFWO (89.7 Medina), at least according to the church's TotallyGospel.com website. WFWO wasn't yet on the air when last we checked, though in October the FCC granted an application to shift the construction permit from Maine-based Positive Radio Network (the folks behind WMSJ in Freeport) to the FellowshipWorld church in Buffalo. FellowshipWorld will pay $10,000 for WFWO, and will presumably get an extra 18 months beyond the current April 22, 2011 expiration date to build out the WFWO CP. With 2.2 kW/216' from a site in central Orleans County, WFWO itself won't put much signal over Buffalo (especially with first-adjacent WFBF 89.9 right in town), but it could provide FellowshipWorld with a platform from which to put translators in town. And as we noted when FellowshipWorld was programming WHLD, there's another nifty radio connection here: the church's home at 1420 Main Street is the old Churchill Tabernacle building that was the birthplace of WKBW radio and later the home of the WKBW-TV studios for channel 7's first twenty years. *Downtown at channel 7's current home, all the news was bad news last week as troubled owner Granite cut back staffing at the third-place news operation. Three photographers (two from news and one from production), an assignment editor, a web producer and a graphic artist all lost their jobs at WKBW-TV, further reducing the staff at a station that's already cut back news staffing significantly in recent years. One more Buffalo note: Family Life Network's WCOU (88.3) has changed its city of license from Warsaw to Attica; that move (with no physical change in facilities) clears the way for Holy Family's WLOF (101.7 Attica) to make its move west to Elma, improving the Catholic station's signal into Buffalo. It's not just Granite cutting back: Clear Channel's nationwide December back-office staffing cuts have hit at least some of the company's smaller clusters. In Binghamton, for instance, a business manager was cut as part of Clear Channel's attempt to consolidate those functions at its larger operations. That consolidation will likely include more hubbing of "local" newscasts, as well; we're hearing that the Albany news hub is expected to add staff in 2011 to provide more newscasts to other clusters in the northeast. Speaking of Albany, Vince Nelson is now officially the new general manager at WRGB (Channel 6)/WCWN (Channel 45) after serving as acting GM since June. Nelson's promotion isn't the only news at channel 6 this week: the CBS affiliate is adding an extra half-hour to its newscast, which starts at 4:30 AM on weekdays beginning today. Where are they now? Former WGY programmer Greg Foster, who later ended up in Clear Channel's Salt Lake City cluster as PD of KNRS-FM (105.7) and KACP (570), is moving east to Denver as operations manager for Clear Channel's three AM talkers, KOA (850), KHOW (630) and KKZN (760). *Neil Rogers began his radio career in his native western New York, spinning the tunes on WCGR (1550 Canandaigua) at the age of 17 in 1960 and later working at WBTA (1490 Batavia) around 1963. But the talk host, born Nelson Roger Behelfer in Rochester, had to get out of town to achieve fame. That happened in Miami, where he was the market's top talker for decades at WKAT (1360), WNWS (790), WINZ (940), WIOD (610) and WQAM (560), working as often as not from a home studio in Toronto. Poor health forced Rogers to retire from WQAM a year ago, and he's now in hospice. On Sunday, his attorney and friend Norman Kent issued a statement saying Rogers now suffers from progressive vascular dementia, a condition related to the stroke and heart attacks he's suffered in recent months, and that he's not expected to recover. But wait - there's more! We now have a small supply of the new FM Atlas, 21st edition, as well as a limited supply of Tower Site Calendar 2010 as well - plus a very limited quantity (fewer than six remaining) of the signed, limited-edition version of the 2011 calendar and much more in the fybush.com store! * The latest tower zoning battle comes from Brunswick, MAINE, where Jim Bleikamp will once again go before the town planning board tomorrow night as he tries to get WCME (900 Brunswick) back on the air fulltime. The signal has been mostly silent since 2008, when it lost its lease on the tower at its original home on River Road. That tower now belongs to WCME's former sister station, Saga's WCLZ (98.9), which has declined to share it with an AM signal - and that didn't sit well with the planning board, which told Bleikamp it needs to hear more about the "complicating" issues involved with the old site before granting permission for WCME to build a new guyed tower on the land he bought at the site of a former drive-in theater on Old Portland Road. The board members were also apparently flummoxed by the difference between an AM station's antenna and the cellular antennas they're more accustomed to regulating, where sharing of sites among multiple licensees is relatively simple and highly encouraged by town rules. And almost inevitably, someone raised concerns about guy wires and bird kills - never mind that to the limited extent there's any real proof of towers posing a danger to migratory birds, it's much taller towers with extensive lighting, which the WCME tower won't have. *There's a new station manager at NEW HAMPSHIRE's WASR (1420 Wolfeboro), where Joe Collie is moving on to "pursue a career outside the broadcast industry," with Dave DeVries coming on board as station manager and morning host. WASR is also inaugurating a new "WASRewards" loyalty program for listeners at a revamped WASR.net website. Across the Granite State, a programming change at WNTK (99.7 New London)/WUVR (1490 Lebanon): Glenn Beck is out and Dennis Miller is in on weekdays from 10 AM to noon. Despite Beck's passionate following, we hear that WNTK had a hard time selling local advertisers on the show, a problem that's not unique to that area. *Nobody's been doing more for the cause of CONNECTICUT radio history than WCCC/WWUH engineer John Ramsey, who's been building up the Connecticut Broadcast History website. Ramsey's presentation to the Newington Amateur Radio League on radio history in Hartford and vicinity is now on YouTube in four parts via the WTIC Alumni website; check them all out here! *Where are they now? Former PENNSYLVANIA Keymarket programming VP Frank Bell has an exciting new job: he's the new director of radio and research for 13 Management, working with Taylor Swift. Bell has a long connection to the country star - her father worked for Bell as an account executive back in the day. Dmitri Vassilaros, a Pittsburgh-area media fixture at the Tribune-Review, WTAE, Wheeling's WWVA and most recently as a part-time host on KDKA, is heading south: he's taking a new job doing mornings at Clear Channel's WPTI (94.5 Eden NC), "Rush Radio" for the Winston-Salem/Greensboro market. Vassilaros will continue to be heard on Saturday nights on KDKA until the end of the year. Bible Broadcasting Network has call letters for its new signal serving the Reading area: the 88.3 licensed to Leesport will be WYBQ when it signs on. Meanwhile, two Catholic groups have been granted construction permits for new FM signals: "KC Club, Inc." gets 2 kW/1220' DA on 90.3 for a potent new signal licensed to Bellefonte and serving State College, while Pittsburgh's Saint Joseph Missions, which already owns the Steel City trio of WAOB-FM (106.7), WAOB (860) and WPGR (1510), now has a CP for 500 watts/1004' DA on 91.7 in Ligonier. That signal will extend Saint Joseph's reach eastward to Somerset, with at least a fringe signal into Johnstown. *Andy Rosen is out as VP/GM of Radio One's Philadelphia cluster (WPHI, WPPZ, WRNB); for now, Radio One regional VP Bruce Demps is running things there. Elsewhere in Philadelphia, there's a programming change at Greater Media's "Fanatic" (WPEN-FM 97.5 Burlington NJ/WPEN 950 Philadelphia), where the midday show hosted by Vai Sikahema of WCAU (Channel 10) and Inquirer columnist John Gonzalez has been cancelled. For now, ESPN's Sal Paolantonio and Matt Nahigian are filling the 10-noon slot there. There's a programming change at CBS talker WPHT (1210) as well, where Sid Mark's long-running Sinatra show is losing its Friday-night slot. Mark brought his Sinatra programming over to "The Big Talker" in 2000 after the demise of his longtime broadcast home, talker WWDB-FM (96.5), and for a long time the Friday show was so important to WPHT that the station bumped Friday-night Phillies games to sister WIP (610). Despite the end of the Friday show, Mark will still be heard on Sundays from 8 AM until 1 PM on WPHT. Back in Pittsburgh, it looks like the end of the line for WZUM (1590 Carnegie): the little signal at the top of the dial has been silent since March, and despite a willing buyer eager to return it to the air (Chris Lash, who's been busy resurrecting two other top-of-the-dial AMs over in the Youngstown market, WANR 1570 and newly-renamed WYCL 1540, ex-WRTK), its towers are about to come down. Blame the borough council in Crafton, Pennsylvania, which voted Wednesday night to order the site removed, since it sits on city property. Lash had even offered to build studios in Crafton and hire local residents, reports PBRTV.com, but to no avail. Rocco DeMaro is out as the Pirates' pre- and post-game host on WPGB (104.7) after seven years; no replacement has been named yet. *Don Meredith will always have a place among the legends of broadcasting for his many years in the "Monday Night Football" booth, of course, but the Cowboys great had another broadcasting connection in NERW-land, too: he was one of the partners (along with author James Michener) in the Central Bucks Broadcasting Company, which bought WBUX (1570 Doylestown) in 1975 and operated the suburban Philadelphia AM station until 1991. Meredith lived in Bucks County for a time after his retirement, though he was living in Santa Fe, New Mexico at the time of his death Dec. 5. He was 72. *A familiar set of calls is returning to its old home in NEW JERSEY: as of last Wednesday, it's once again WBBO (98.5 Ocean Acres) on the station formerly known as WKMK, now back to its old "B98.5" top-40 identity. 98.5 had briefly taken the WHTG-FM calls that long resided on 106.3 in Eatontown, which became WKMK when it flipped to "Thunder Country" a few months ago. The WBBO calls had been on simulcaster 106.5 in Bass River Township, and that station is now WTHJ, "THunder Country Jersey." And we're hearing this could be an interesting week at Atlantic Broadcasting's troubled cluster in south Jersey: will one big creditor call its note in a few days? *It was one of the most recognized station IDs in all of CANADA: "This is CITY-TV, EVERYWHERE!" The voice behind that ID was silenced last week: Mark Dailey was just 57 when he lost his battle with cancer on Monday, ending a long career as an announcer, reporter and anchor at CITY. Dailey came to Canada from Youngstown, Ohio, where he worked as a policeman before crossing to the other side as a reporter. His first Canadian gig was at the legendary CKLW (800) in Windsor; he came to Toronto to work at CHUM in 1974 and then moved to CITY in 1979, anchoring the 11 PM "CityPulse" newscast, hosting the station's late movies and of course voicing the distinctive station IDs that made CITY a unique TV station in its heyday. *In Sudbury, there's a new morning team on CICS (KICX Country 91.7), where Brad Hulme is the new co-host on what's now the "Brad & Shannon" morning show. WEDNESDAY UPDATE: Sad news this morning from Pittsburgh, where KDKA (1020) reports the death of its veteran talk host Fred Honsberger. "Honz" died this morning at his home in the Pittsburgh suburb of Monroeville. He was just 58, and had been at KDKA for 30 years. We'll have a complete obituary in Monday's NERW. There's a tower down in upstate New York. Tower crews were working on the 400' tower of WRCE (1490 Watkins Glen) Monday afternoon when the 41-year-old structure collapsed, killing one worker, Dirk Remington, 46, of Clyde. A longtime AM voice in southeastern PENNSYLVANIA has fallen silent. Great Scott Broadcasting, which has owned WPAZ (1370 Pottstown) since Herb Scott put the station on the air back in 1951, abruptly pulled the little local AM station off the air Thursday, putting four full-time staffers and two part-timers out of work without notice. Mitchell Scott, son of the station's founder, told the Pottstown Mercury that the station no longer fit with the rest of his company, which is based in Maryland, several hours away - but that he hopes to find a buyer who can get the station back on the air. It's listed with Pittsburgh-based broker Ray Rosenblum for sale. Sports radio listeners in central NEW YORK are in for a change next spring, when Ed Levine's Galaxy group takes over the ESPN Radio affiliation currently held by Citadel's WNSS (1260 Syracuse). Starting March 5, 2010, ESPN will move to the new "ESPN Radio 97.7 and 100.1" in Syracuse and Oswego, and to Galaxy's "Game" trio in Utica (WTLB 1310 Utica/WRNY 1350 Rome/WIXT 1230 Little Falls). Those FM frequencies aren't full-power stations - they're translators W249BC (97.7 Mattydale) and W259AX, which is being moved into Oswego, and they'll be relaying Galaxy's AM stations in the market, WTLA (1200 North Syracuse) and WSGO (1440 Oswego), which have been doing satellite-fed standards. In addition to ESPN's national programming, the Galaxy stations will expand on the Syracuse University sports content already being heard on Galaxy's "TK99" (WTKW 99.5 Bridgeport/WTKV 105.5 Oswego), with additional coverage of SU sports. And speaking of the Oswego stations, we're sorry to report the passing of their longtime owner. Bob Gessner bought WSGO back in 1971, put WSGO-FM (now WTKV) on the air a few years later, and ran the stations as paragons of small-town local radio for a quarter of a century. Under Gessner's leadership, the stations moved to their current transmitter location off Route 481 in 1989, when the FM station took on the new calls WGES. Gessner's earlier career had included station management and ownership downstate, including a stint at New York's WCBS and the founding of WBNR (1260 Beacon), which he operated with Sy and Alfred Dresner (yes, "Gessner and Dresner"). Gessner retired in 1996 when he sold the Oswego stations to Galaxy. He died Dec. 5 in Kissimmee, Florida, at the age of 86. In Hamilton, CING (95.3) has a new nickname for its 70s-pop format. It's now "Vinyl 95.3," and it's not quite jockless anymore: former CFTR (680 Toronto) jock Bob Saint has been heard pulling airshifts at the Corus classic hits outlet. Three northeast PENNSYLVANIA radio stations will be able to stay on the air under new ownership, now that the FCC has agreed to allow their owner, who was convicted of child-molestation charges, to sell the stations rather than to surrender their licenses. Regular NERW readers already know the background here: Doug Lane, longtime owner of WWDL (104.9 Scranton, now WWRR), WICK (1400 Scranton) and WYCK (1340 Plains), was arrested in March 2004. Prosecutors say Lane's history of molesting teenage boys extended back several decades, with the statute of limitations having expired on some of the earliest incidents. In the past, the FCC has handled similar charges against licensees (most notably Michael Rice, who owned stations in Missouri and Indiana) by revoking the stations' licenses - and indeed, to this day, Rice's former frequencies in Columbia, Missouri and Terre Haute, Indiana remain dark. In this case, though, prosecutors in Lackawanna County had a different idea. They asked the FCC to allow Lane to sell the stations to Bold Gold Media, which owns four nearby stations (WDNH/WPSN in Honesdale, WYCY in Hawley and WDNB in Jeffersonville, N.Y.) and which has been operating the Scranton stations under an LMA for several months. Out of the $1.9 million sale price for the stations, $300,000 would be set aside for reimbursement to victims and for contributions to victim-assistance agencies. The remainder would be put into a court-supervised account, with the money (plus interest) going to Lane if he wins the appeal of his conviction and to the county if the conviction stands on appeal. The FCC agreed to the plan last week, and now the transfer of the licenses to Bold Gold will move forward. In Philadelphia, another legal settlement means the end of the WOGL (98.1 Philadelphia) career of legendary jock Hy Lit. Lit had sued WOGL owner Infinity for age discrimination, and as part of a settlement with the company, he agreed to make yesterday (Dec. 11) his final Sunday show on WOGL. Lit's far from finished, though - he's now focusing on his 24-hour oldies webcast at hylit.com. In Carlisle, WHYL (960) has made it official - it'll return to adult standards when the Christmas music ends in early January. The format change includes the return of Ben Barber to morning drive; he'd been doing mornings until WHYL flipped to talk a year ago, and had been doing sales for the station since then. There's probably nothing we can add to the media hype surrounding the impending departure of Howard Stern from terrestrial radio, so we won't even try. But there is some news surrounding his NEW YORK flagship station: the calls will apparently change from WXRK to WFNY-FM when it becomes "92.3 Free FM" in January (the WFNY calls are also in use on AM and for an LPTV up in Gloversville, and we're sure owner Michael Sleezer got a nice deal from Infinity to share them for New York City use.) The new WFNY-FM will have a new manager, as Mark Chernoff gets promoted from operations director at WFAN to VP/programming for both WFAN and WFNY-FM. And current WXRK afternoon guy Chris Booker will stay with 92.3 in its new incarnation, handling evenings. CANADA's regulators are getting impatient with Aboriginal Voices Radio's repeated requests for extensions of time to build its stations in British Columbia, Calgary, Montreal, Kitchener-Waterloo and Ottawa. AVR, which currently operates only one station, Toronto's CFIE (106.5), asked the CRTC last week for a sixth extension in Ottawa and a second extension in Montreal (including an extension of time to find an alternate frequency, since it was denied its initial choice of 100.1), among other requests. The CRTC says it's putting AVR "on notice" that it will use this proceeding to decide whether to grant the broadcaster any further extensions for its unbuilt stations. In documents filed with the CRTC, AVR indicates that it still hasn't purchased a transmitter for the Ottawa station, and that similar purchases for Montreal are on hold until a new frequency (tentatively 106.7) is approved. Why "Univision Duo"? It looks like an attempt by Univision to ensure its continued dominance of the Hispanic TV market against an impending challenge from the new "Azteca USA" network being created by Pappas Telecasting and Mexico's Azteca network, rival to Univision's Mexican partner, dominant Televisa. The arrival of Univision Duo can't be good news for Azteca -- especially as word comes that an Azteca deal to buy WSAH (Channel 43) in Bridgeport is falling through, leaving Azteca with no New York City outlet against a potential three Univision outlets (the existing WXTV Channel 41, accompanied by USA's WHSE Channel 68 and, on Long Island, WHSI Channel 67). Meanwhile, upstate NEW YORK ended up with a second all-eighties outlet on Friday (Dec. 8), as Albany's WABT (104.5 Mechanicsville) ditched "Jammin' Oldies" to become "the Buzz," accompanied by the strains of the Buggles' "Video Killed the Radio Star." The Regent-owned station is one of several spinoffs from the Capstar group when it merged with Clear Channel's Albany cluster earlier this year. Clear Channel won a red-flagging from the FCC this week when it announced plans to add three more stations to its Utica group. For a reported $2.15 million, the Clear Channel folks are picking up three of Kenneth Roser's stations: dance simulcast "Wow FM" (WOWZ 97.9 Whitesboro and WOWB 105.5 Little Falls) and "Bug Country" WLFH 1230 Little Falls. Clear Channel already owns Utica rocker WOUR 96.9, CHR "Kiss" WSKS (102.5 Rome), soft AC "Warm" WRFM (93.5 Remsen), and the sports trimulcast of WRNY (1350 Rome), WADR (1480 Remsen), and WUTQ (1550 Utica). Roser keeps his "Bug Country" trimulcast of WBGK (99.7 Newport Village), WBUG-FM (101.1 Fort Plain), and WBUG (1570 Amsterdam). NERW suspects WLFH will join the "Sports Star" simulcast, since its role in Bug Country is now served by new FM arrival WBGK. What's doing in MASSACHUSETTS? Another longtime WBCN (104.1 Boston) voice is heading south to Washington and the new world of satellite radio. Mark Parenteau made the move this summer, to head up XM Satellite Radio's comedy channel. Now it's Bradley Jay's turn, as he leaves behind nights at the Rock of Boston to become music director of XM's dance channels. Up in CANADA, all the talk this week was TV-related, thanks to the CRTC's approval of the C$2.3 billion sale of the CTV network. The buyer is BCE, the giant media conglomerate that's now parent to the Bell Canada telephone operations, the ExpressVu direct-to-home satellite TV service, the Sympatico high-speed internet provider, and, oh yeah, the national Globe and Mail newspaper. By combining BCE's transmission network with CTV's programming holdings, which include not only the broadcast network and its major-market affiliates but more than a half-dozen major cable channels, the CRTC seems to be reversing its earlier opposition to joint ownership of programming and distribution. Next up for the CRTC: approval of media giant Quebecor's planned purchase of the French-language TVA commercial network, which looks like a slam-dunk after this deal. Quebecor has already agreed to sell its stake in competing network TQS. One more Canadian note: We hear from our friends up near Ottawa that the end of CJET (Smiths Falls) on AM came a few months earlier than planned. It seems the AM 630 transmitter failed unexpectedly...and with FM 92.3 now on the air, the CJET folks decided the AM wasn't worth fixing!